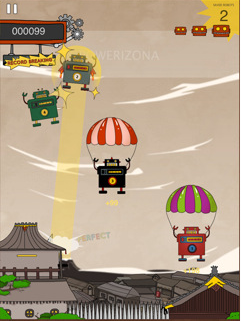 10 word description: Rescue falling robots by tapping to deploy parachutes. Multitouch support. 10 word review: Stylish, cute, graphically rather wonderful, imaginative, quite frantic. Varied locations. 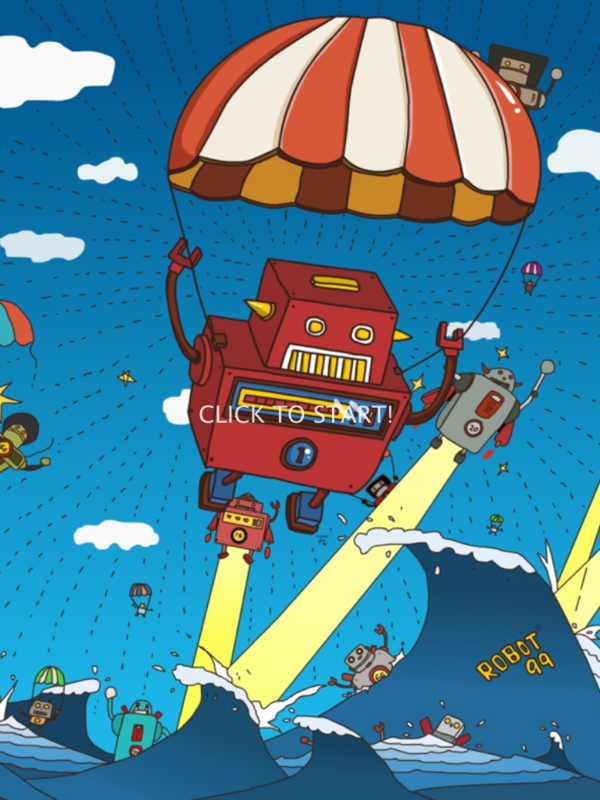 It’s like: B-Movie robots falling out of the sky and … only … you …. can … save them! It’s better than: The Day The Earth Stood Still (remake). It’s not: A turn-based role-playing game. Average game time: Typically, you tend to mess it up at precisely the moment you think you’re doing really well. About a minute and a half on a good run of luck. 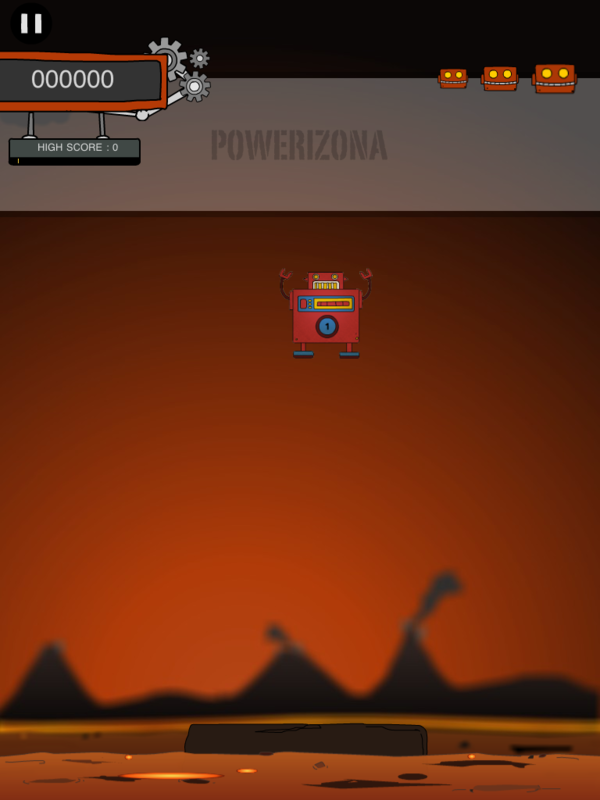 The volcano level. 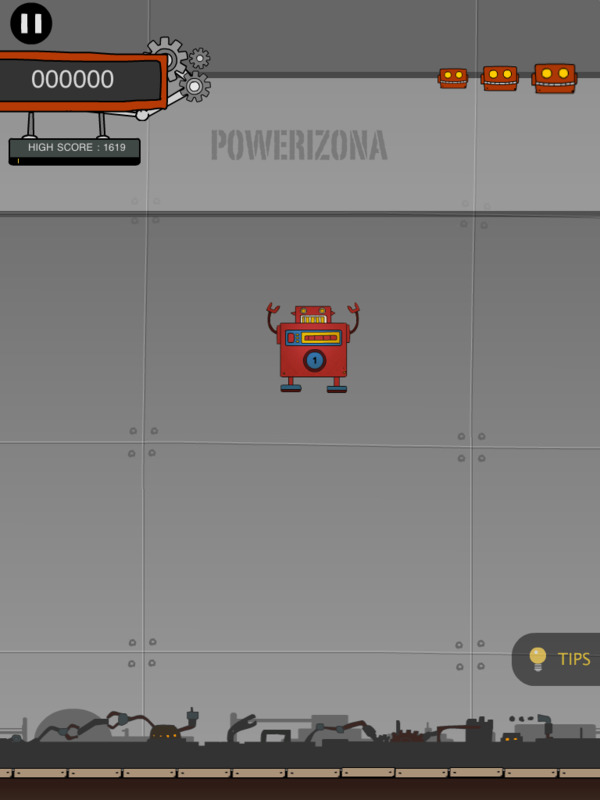 You have to land the robots on that small length of rock in the middle of the lava. Arcadelife verdict: Completely mad. This is what Isaac Asimov and Arthur C. Clarke would see if they did mushrooms and mescaline for 3 days straight. It’s hard to comprehend how this could even begin to work on anything other than a touch screen. The graphics are very pretty; the falling, tumbling robots are endearingly cute without becoming irritating and the backgrounds are great. Music and sound effects are also spot-on, clear and crisp and adding nicely to the rapidly escalating on-screen action. It’s almost impossible to put this into a category; ok, we’ve all seen games where stuff falls and you have to tap it, but this takes all those ideas, promptly forgets them all and reinvents itself as something unique. How many different robots are there? 99, of course. Play this game. Feel a small glimmer of joy. 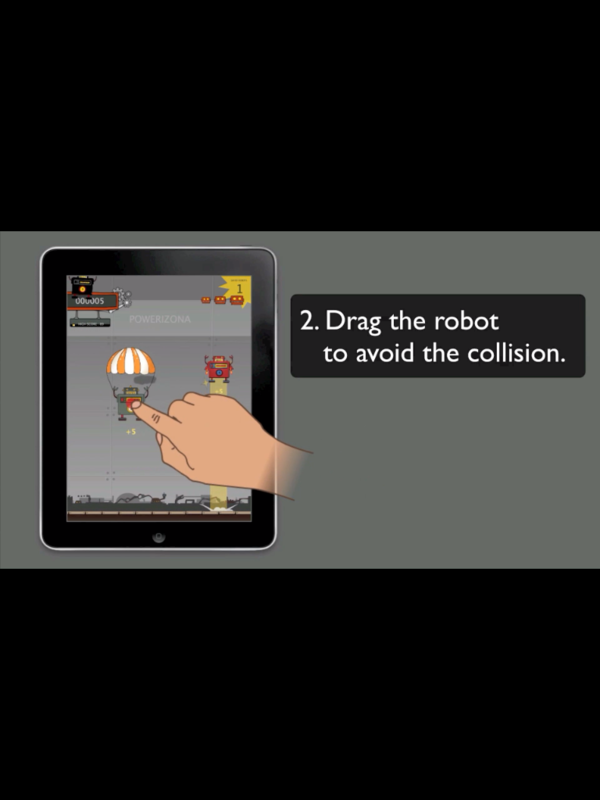 Then watch the in-built video that tells you how to play! No, I was not expecting that either. That's the best advice you're going to get. From me, at least.